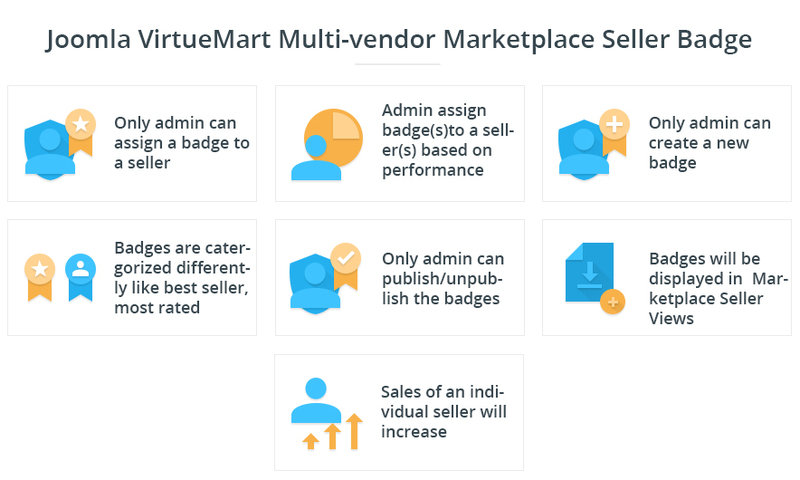 Did you buy Joomla VirtueMart Multi-vendor Marketplace Seller Badge? Do we have to use badges provided by default? You can create your own badges by uploading your own images and creating a new one, you can even edit an existing badge. Can multiple sellers be assigned the same badge? Yes, you can assign any badge to any seller, multiple sellers can be assigned the same badge. Can badges be assigned automatically? No, this feature is not currently added in this version. Can a badge be rendered on a selected HTML class? No, the badge will be rendered on only Marketplace and Virtuemart views where it has been set.